Ron Crouch Transport has come a long way from its first single client in 1978 to the 1700+ companies that it now caters for today. First founded by Ronald and Beverley Crouch, to this day we are still a family run business, dedicated to fulfilling all your transport and storage needs. From our depot facilities in Sydney, Melbourne, Adelaide, Brisbane, to our warehouses in Melbourne and Wagga Wagga, we are recognised across Australia for our professionalism, efficiency and reliability. In fact, thanks to our commitment to customer satisfaction and service excellence, we have successfully evolved into a professionally recognised and reputable regional and national logistics provider that companies can trust. All Ron Crouch Transport staff are expertly trained, accredited and licensed to deal with your delivery needs, no matter your industry or requirements. So if you are interested in arranging a quote or learning more about our depots and warehouse facilities, contact any of our team at Ron Crouch Transport today. Our Managing Director, Geoff has worked at Ron Crouch Transport since 1995. Geoff is heavily involved in many transport related bodies and is currently the Chair of the Board of the Australian Trucking Association. Geoff is based at our Melbourne Depot in Laverton North. Peter commenced work at Ron Crouch Transport in 2007. 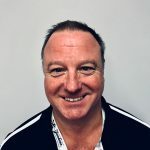 He then spent several years as the Business Development Manager moving between Wagga and Melbourne, and was appointed as our General Manager in 2014. 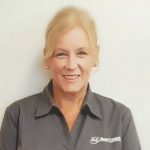 Robyn has worked with Ron Crouch Transport since 2003. Having surpassed her 15 year milestone, Robyn is a highly valued member of the RCT Team and can help with all your account or corporate requirements. John joined the RCT team as our Business Development Manager in 2014. A highlight for John in his first year was obtaining the transport contract for Claytons Kitchens. You can contact John for quotes. Danny is our Wagga Depot Manager, working as part of the Wagga team for 16 years. Danny has invaluable knowledge of the transport industry and can help you with your collection and drop off requirements. 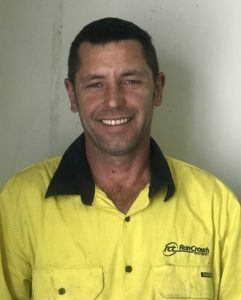 Bill has been with the company for 12 years, from joining the team as a forklift operator to other various roles to becoming the Operations Manager, Bill has now been appointed our Melbourne Depot Manager in November 2018. This appointed role comes at no surprise, Bill brings a wealth of knowledge in the transport Industry. 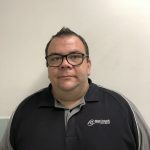 Ryan was appointed our Wagga Warehouse Manager in October 2018, Joining the RCT Team with over 17 years in the Transport Industry, before entering the transport world, Ryan spent 6 years in the Army. Ryan has a wealth of warehouse knowledge, and can be contacted on his mobile during office hours. Jeff joined the Ron Crouch Transport team in January 2016. Jeff comes to us with extensive managment experience, with a particular interest in People Management and Customer Service. John has recently joined the Ron Crouch Transport Team managing our Sydney Depot. He comes to us with over 10 years experience in Transport, Warehousing and Dangerous Goods management. Daniel has 10 years’ Transport and Logistics experience, both in Australia and North America. 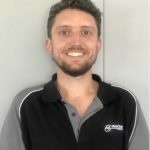 Daniel has previously been involved in the Natroad Youth Committee as a founding committee member, and is completing his Bachelor of Business (Logistics and Supply Chain Management) by correspondence.